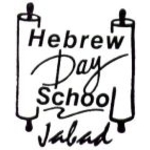 At Hebrew Day School we recognize that each child is a unique individual with different learning styles and abilities. Each lesson at HDS is a multi-sensory and hands on learning experience. The lessons incorporate different ways of learning so that each individual child is reached and is able to benefit. The students truly experience that which they are being taught. Language Arts, Mathematics and Science are taught in English. The Spanish and Social Studies are taught by local Spanish teachers. Our small classroom settings ensure more one-to-one attention from the teachers as well as more time for instruction. Educators are better able to tailor lessons to fit individual needs, and students can form stronger relationships with each other as well as with their teachers.